Whether you need to light up a work area on a professional job or simply need a powerful torch for home project use, our range of Ryobi lights and Ryobi torches could provide the solution. These are all built to the quality standards you would expect of Ryobi and really are suitable for a range of applications. 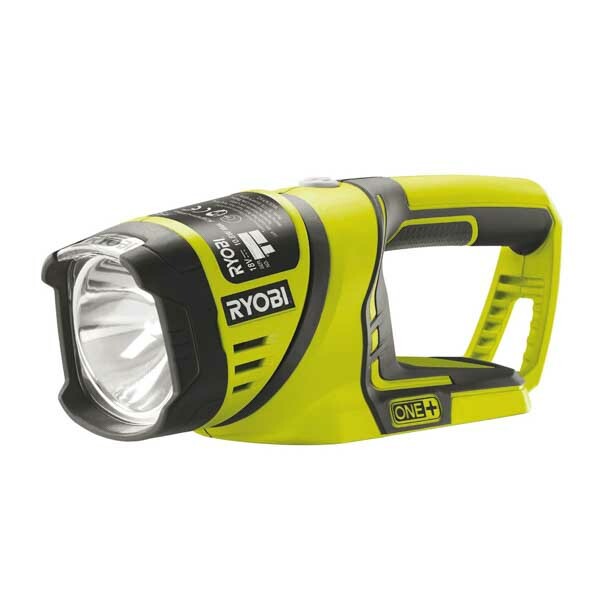 In our range of Ryobi LED torches and lights you will be able to find the lighting solution that is best for your needs. All are, of course, manufactured with the utmost precision and offer clear, bright illumination as standard. One option is the Ryobi ONE+ RFL 180M-BC13 which is a Ryobi torch that really delivers when it comes to clarity and quality. It also offers an adjustable pivoting head that moves across 360 degrees to illuminate awkward areas of your project. Another choice you could make, possibly for bigger projects, is the Ryobi ONE+ R18ALH-0 Hybrid. This Ryobi 18v area light can illuminate a large workspace with ease, thanks to its 1,700+ lumens of light and 360-degree rotating head. It can be set up or hung in a variety of ways, making it a truly versatile tool. A Ryobi folding area light offers yet another option when it comes to lighting up your workspace. Providing convenience and adaptability, the Ryobi ONE+ R18ALF-0 18V Folding Area Light can be hung, folded or stood in numerous ways. With 850 lumens on offer, it also delivers in the illumination department, giving you the clarity you need to work on the most intricate of tasks. 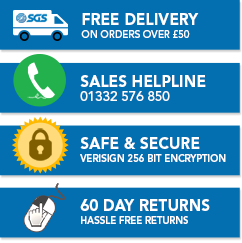 Ordering from our website is easy, once you have chosen your torch or light, and if you have any questions you can always contact us for expert advice on 01332 576 850. We'll make sure that you buy the Ryobi lighting solution that works for you.